Drawing on examples from the Bible to modern times, the authors thoroughly analyse the concept of praise thoughout Christian history and explore possibilities for integrating doctrine and worship. - Publisher Examines the concept of praise throughout Christian history and explores possibilities for integrating doctrine and worship. - Publisher The desire to praise and celebrate is universal. Although the movement of praise runs through all the great issues of life, knowledge, and theology, it is best fulfilled in praise to God. Drawing on examples from the Bible to modern times, the authors thoroughly analyse the concept of praise throughout Christian history, and explore possibilities for integrating doctrine and worship. The result is a theology that is exceptionally joyous but firmly grounded in a prophetic vision of God and his importance for human knowledge and existence. As a substantial resource for clergy and readers interested in current conversations about worship and spirituality, this book provides rich insights. 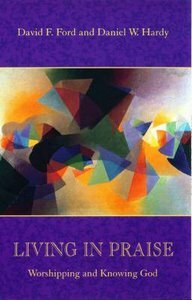 Examines the concept of praise throughout Christian history and explores possibilities for integrating doctrine and worship. The desire to praise and celebrate is universal. Although the movement of praise runs through all the great issues of life, knowledge, and theology, it is best fulfilled in praise to God. Drawing on examples from the Bible to modern times, the authors thoroughly analyse the concept of praise throughout Christian history, and explore possibilities for integrating doctrine and worship. The result is a theology that is exceptionally joyous but firmly grounded in a prophetic vision of God and his importance for human knowledge and existence. As a substantial resource for clergy and readers interested in current conversations about worship and spirituality, this book provides rich insights. David F. Ford is Regius Professor of Divinity at the University of Cambridge. He is author of Self and Salvation: Being Transformed (1999) and co-editor with Ben Quash and Janet Martin Soskice of Fields of Faith: Theology and Religious Studies for the Twenty-First Century (2005).